Combining Himalayan views, golden temples, charming hilltop villages and jungle wildlife watching, Nepal offers one of the world's greatest travel destinations. Nestling between India and Tibet, this fascinating land of contrasts has a cultural diversity like nowhere else on earth, with a wide variety of customs and traditions that must be seen to be believed. There's a reason why Nirvana is said to be located here; as far as peace and tranquillity are concerned, Nepal is incomparable. But does that then mean adventure is off the table? Of course not! Embark on Nepal guided tours with Travelsphere to discover just how exciting this country can be. Mysterious, mesmerising and mountainous, few countries in the world are as well set up for escorted travel as Nepal. You can understand why some people call it the rooftop of the world; being so high, among the clouds, it’s easy to feel like you're closer to the heavens than anywhere else. From Buddhist symbolism to national parks; rickshaw rides to monastic lifestyles, there’s a lot for the avid adventurer to learn about and enjoy here. 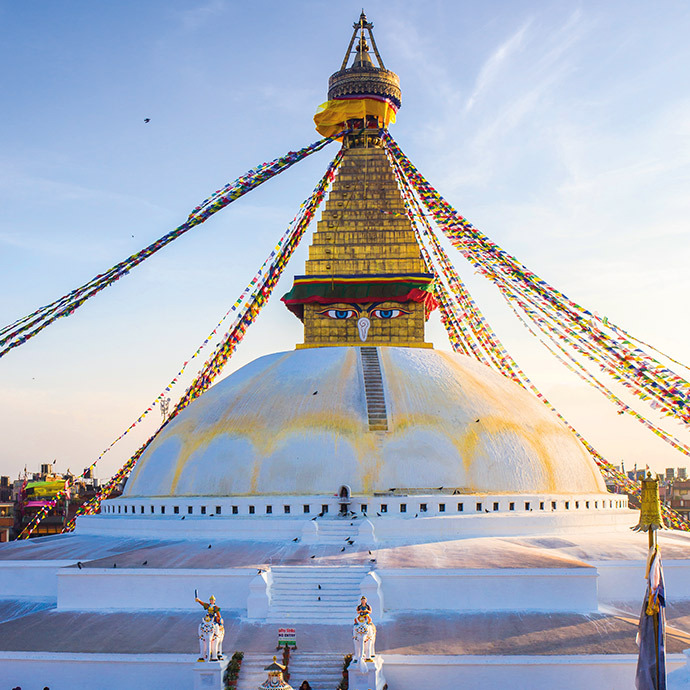 With an astonishingly diverse array of attractions and landscapes, choose Nepal tour packages with Travelsphere for a holiday experience like no other. Soaring an incredible 8,848m above sea level, Everest is the world’s highest mountain and for many years, Nepal has welcomed visitors who long to climb to the top of the world….